What Are the Rules of Roulette Game? If there is any gambling game that has a rich history of decades and still winning hearts with its traditional format along with evolutions, it is the roulette. It is a game of mystery, glamor, and excitement that has been popular since 17th century throughout the casinos of the world. If you are a serious bettor, roulette will appeal you the most. Though it is one of the most popular gambling games in Europe, today it has spread throughout the all leading casinos of the world. 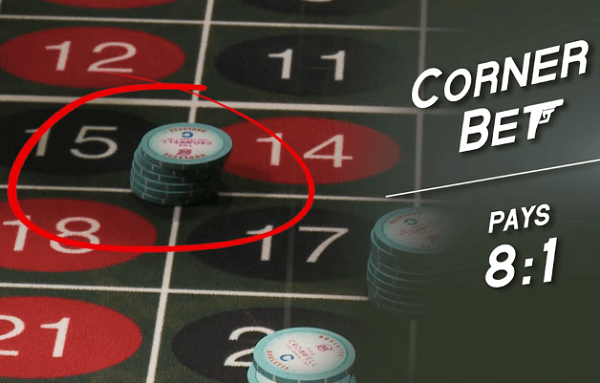 If you are a beginner, you need to know the rules of roulette before starting to play. The more you gather information about the game and its rules, the more you can ensure your chance of winning. The rules of roulette game are not that much tricky. You just need to be strategic to turn your losses into your win. And that can be possible when three essentials work for you- strategy, skill and most importantly, luck. Once you become the master of the rules of roulette, winning the game won’t be a problem. What are the rules of roulette? Read on to know more. The first and most important equipment of the game is the spinning wheel that comes with divisions around the edges. It revolves around the base of a bowl. There is a roulette ball that is spun at the outside of the bowl and finally the ball and wheel both slows down and stops in any of the divisions. The divisions are colored in red and black in an alternate pattern, and those are also numbered from 1 to 36 in a random pattern. You will also find a green division which is numbered as 0. In the case of American roulette table, you will find another green division that is numbered as 00. Based on the rolling ball, bettors’ place bets on the number that they get by laying down the chips on the betting mat. As roulette was originated in France, the game is played on the traditional betting mat in that country and several English-speaking countries. Later, it spread its wings to America where the betting mat is slightly different than the traditional one. Usually, eight players play together against the House. The House represented the croupier who is also known as a dealer. He spins the roulette wheel and handles all payouts and wagers. In the case of European and French roulette, there are 37 divisions with 36 numbers and a 0. 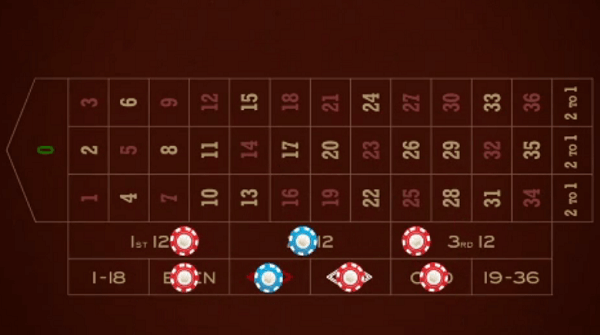 In American roulette, there are 36 numbers and two 0s, and therefore there are 38 slots. Every player buys chips of different colors so that their chips won’t mix up. If you win at the end of the game, you need to exchange the colored chips with cash chips. Sometimes, you may get the chips which have the amount imprinted on it. Also, the colors have different denominations. Once you win the game, you need to take the chips to the cash counter, and they will exchange those chips with your prize amount. It is the moment when no players can change their bets or place new ones. Once the croupier puts the dolly on the winning number and clears all the losing bets, you can start to put your new bets. The number gets the ball at the end wins. Also, numbers around the ball get a chance to win the game. If winning number is represented, the bets outside the layout also could win. You know that there are two types of roulette tables- one with single 0 while the other with double 00. You can get 2.7% House advantage on the single zero table while this advantage is around 5.26% on a double zero table. Now, what is House advantage? When the winner gets a chip or two less than the appropriate amount he has won when there is no advantage, he is being rewarded with this advantage. They can also leave the bet for the next turning of the wheel for gambling all or nothing. If you get zero again or a number that doesn’t match the imprisoned bet, the entire bet has been lost. If the second spin matches the bet, the player gets his money returned. Though it is almost like the ‘En Prison’ rule, there is a little difference between the two. Here, if the zero turns up, the player gets no options than to lose the half of the bet. Casinos place a maximum and a minimum stake for roulette table. It is also done while roulette is being played for recreation only. While maximum bettors can put a bet on a single number, you can see the maximum stake. In the case of the minimum stake, the whole amount of inside bet must exceed the amount of minimum stake. The double zero was colored black, and it was counted as ‘Passe’ and ‘Impair.' If the ball fell into the zero division, all the bets are lost, and the bank takes the amount. But, if the bet matched ‘Pair,' ‘Manque,' ‘Passe’ or ‘Impair,' the bet had been imprisoned, and players had to wait for the next spin of the wheel. So, far you have known how to play roulette. Once you know all these rules quite well you can secure big winning.